Hi! It’s been quite some time—I know! 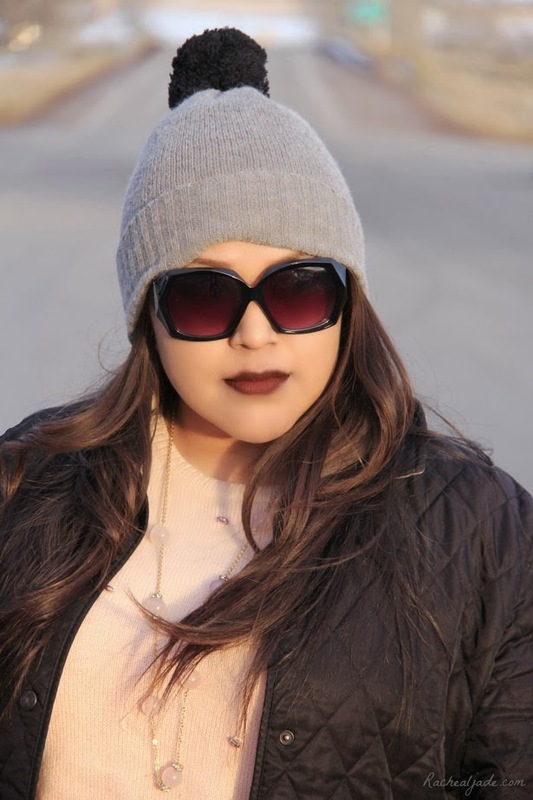 I’ve been such a blogging failure. We recently returned from an extremely fun trip to California, so there were lots of opportunities for photos! Hopefully, you don’t mind getting snapshots of our favorite moments over the next few days. We left after work and went as far as Vegas (our normal pitstop). Although we’ve driven all the way to California in one day, we definitely prefer stopping for a bit of pool time and of course, Grimaldi’s! It makes the arrival in California substantially more exciting when you’re not fighting to stay awake or recovering from stiff legs and tired eyes. As usual, when our delicious pepperoni and mushroom pizza arrived, the conversation ceased immediately and we got down to business. We definitely didn’t even realize that we stop speaking for about five solid minutes as we get through our first pieces! We sure to love Grimaldi’s! We wanted to get a good night’s sleep in order to leave early the next morning, so we were kind of Vegas losers. We fell asleep around 10. I’m pretty sure that makes us official adults. We stopped in Baker at The Mad Greek, which is such a fun sight in the middle of the desert. I was completely taken with the colors of the building. So simple and clean (love). It was a marvelous photo subject. The next hour or so of driving was filled with impersonations, karaoke and travel anecdotes. If you want a good laugh, find my husband and request an impersonation of anyone. The man is hilarious. Our arrival in Orange County couldn’t have come sooner for little B. We drove directly to the nearest dog beach and just let her run! She was such a champ in the car and she deserved the hour of splashing and digging (don’t worry – we refilled the holes as we were leaving!). We were pretty worried about how she’d handle the ocean and sand—her first encounter at 2 months old was filled with whining and diving into my purse. We were so proud! She definitely loved it. Her happy disposition was just a preview of all the fun that was to come! We can’t wait to share. Stay tuned! If you want to see what we did, check it out on Instagram: @rachealjade. I’ve never really been one to believe in “comfy travel clothes.” I don’t feel comfortable getting on a plane in pajamas or anything in that general vicinity. My compromise? Leggings. I’m sure we’ve all benefited from the current trend and I’m absolutely no exception. On a recent trip to Vegas, I tried to be as comfy as possible without sacrificing on the fashion front. Slouchy sweater + leggings + warm Burberry = magic travel clothes. I think I’ve found my newest uniform! Jack and I were reminiscing about previous Valentine’s Day celebrations over the weekend and while thinking of love and appreciation, one in particular stood out. The various “small things” that occurred while we were in Philadelphia two years ago affirmed not only our decision to love each other forever, but also the presence of spectacular humans everywhere. It was mid-semester for me in London and Jack was busily working in Utah. We had been apart (with the exception of two short visits) since the previous September. While we are both considerably responsible adults, we allowed emotion and spontaneity to rule just long enough to purchase plane tickets to Philadelphia. We had decided (oh-so-dramatically) that it would be impossible to go another day without seeing each other. One week later, I landed in the city that would soon become one of my favorites. I had to wait about 8 hours for the arrival of my sweet fiance, so I took the opportunity to explore the city. I tentatively boarded the train and found an aisle seat while being very careful to not speak to anyone or look at them for too long (I was proud to be representing proper Tube etiquette). I glanced at the lady in the window seat who appeared pleasant. She greeted me and the train started moving. Now, this is going to sound like the most outlandish of all anecdotes, but I promise it’s the absolute truth. It had just started to rain and we suddenly saw bright flashes of light outside. Everyone assumed lightning, so there weren’t too many reactions. All of the sudden, there was a brilliant flash outside my window and a stream of sparks. The woman next to me instinctively dove away from the window and simultaneously covered her head while attempting to shield mine. Immediately after, the overhead lights went out and everyone screamed and froze. We waited. The car wasn’t on fire, so we assumed safety. The woman apologized over and over for her instinctive protectiveness and reestablished her personal space. At that moment, an employee came through and requested that everyone remain calm and that everything should be fine. A half hour later, we were again moving slowly. We were to be delivered to the nearest station in Philly, which offered only taxi and bus service. What luck. After we disembarked, I attempted to decipher the bus schedule only to find my protective seatmate to my left. She asked if I was visiting and if I needed help. She then ushered me to the taxi line and offered herself as temporary city guide.While I’m inclined to suspicion, I could see that she needed me as much as I needed her at the moment. She was still clearly shaken up and I was certain I could win should a brawl ensue. We arrived in the city center and when I held out my credit card, she protested. She refused to allow me to pay anything and wished me a pleasant stay. The cab driver was clearly on her team and didn’t bother to hear of my protestations. She apologized profusely for my experience and assured me that everything would be fine from then on. I requested her email or address to send a thank you to which she agreed. I was left standing alone in front of Anthropologie clutching the small piece of paper she had handed me. I glanced down to find not her address, but a phone number and this message: “Enjoy Philly! Hope you weren’t scared away. You don’t need to worry about thanking me. It was wonderful to meet a new friend. If you ever visit again, give me a call! 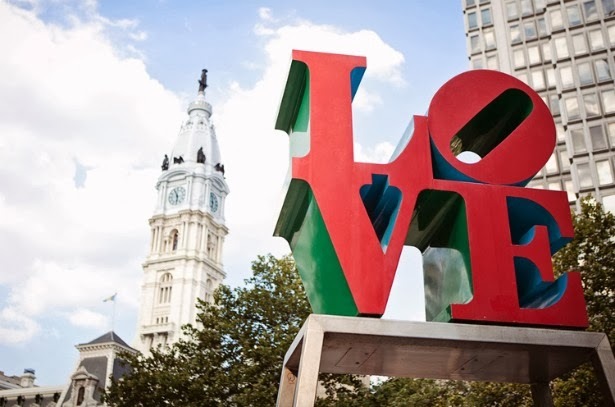 -Mary Ann” And with that simple act of kindness, I immediately felt fully welcomed to Philly and once again, assured of the perpetual good in people. While it could have been easy to focus on the fear and unknown, these two individuals made it impossible to acknowledge anything but their kindness and generosity. The hospitality and friendliness continued throughout our stay and convinced us that never has a city and its citizenry ever earned a nickname more profoundly than Philadelphia.